The Hard copy of the Prospectus can even be obtain from the University after paying some of Rs.200/- in cash. Last Date for online submission of application form through university website i.e. http://bfuhs.ac.in 28.08.2017. Date of Post Basic Nursing Entrance-PPBNET (Punjab Post Basic Nursing Entrance Test) 09.2017 (Sunday) and the Timing is from 11:00 am to 2:00 pm. The Result of Post Basic Nursing Entrance 2017 conducted by PPBNET will be declared by 12.09.2017. Scheme of the Post Basic Nursing Entrance Exam. The test shall consist of one paper and the questions shall be from General Nursing and Midwifery. The total number of Multiple Choice Questions will be 200 and each questions will carry 4 marks, thus total marks will be 800. The medium of Post Basic Nursing Entrance conducted by PPBNET is in English. 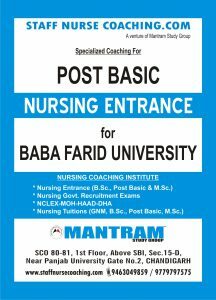 SPECIALIZED COACHING FOR POST BASIC NURSING ENTRANCE 2017 CONDUCTED BY (PPBNET). Coaching by talented and expert faculties. Regular Mock tests as per exam level. 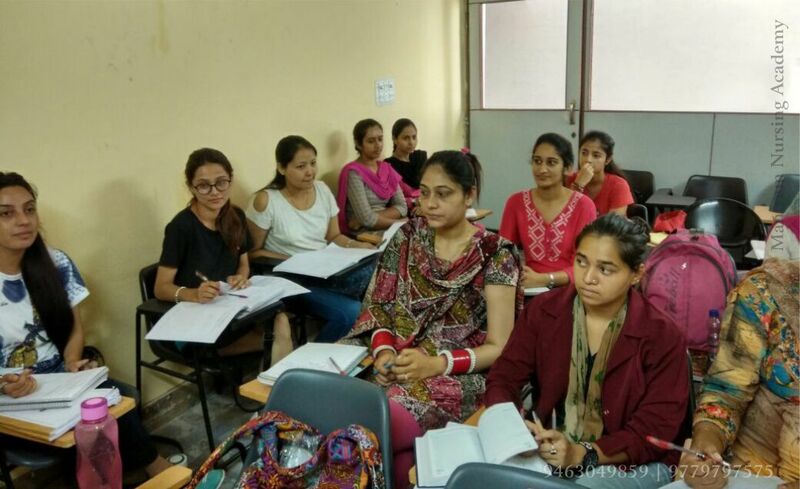 Complete study material shall be provided and it is also pertinent to mention here that our study material is prepared by the team of experts. Special classes for doubt sessions. Therefore, join special batch for post basic nursing entrance 2017.